We don’t understand their reasoning because manufactured sweetener does not appear to be less costly than sugar. Perhaps the American chewing gum manufacturers are involved in a mass conspiracy to destroy the minds of our children and all adults who like to chomp on their product. That or they have been caught up in a mass marketing scheme for pure greedy profit. Whatever the reason, chewing gum in America is laced with aspartame, an artificial sweetener that is known as an excitotoxin. They call it that because the chemical in it is toxic and excites brain cells to the point of killing them. The makers of aspartame, commonly sold under the brand names Equal and NutraSweet, say the ingredients include phenylalanine and aspartic acid, both amino acids that are normally found in the foods we eat. But they can only be considered harmless when consumed in combinations with other amino acids. On their own, these two amino acids become excitotoxins that enter the central nervous system in abnormally high concentrations, causing aberrant neuronal firing and cell death. The results are often headaches, mental confusion, problems of balance and even seizures. Migraine headache sufferers often find that their problem is eased or goes away completely if they give up consuming soft drinks, gum and foods that contain Aspartame or the other major excitotoxin dumped in our commercially produced foods: monosodium glutamate. Aspartame is such a harmful product, we are amazed that it was ever approved by the U.S. Food and Drug Administration for human consumption. The reason it happened was obviously political and financial. The Monsanto Corporation, which created Aspartame, spent $2 million alone lobbying the government in the Third Quarter of 2011 in support of this deadly product. Not only does Aspartame contain these two harmful amino acids, but 10 percent of the product that is absorbed into the bloodstream is methanol, or just plain old wood alcohol. A one-liter bottle of diet soda, sweetened with aspartame, contains about 56 milligrams of wood alcohol, or eight times the limit set by the FDA for safe consumption within a single day. How many people become addicted to diet drinks and slug down more than one a day? This story gets even scarier. When exposed to warm temperatures or prolonged storage, aspartame breaks down into metabolites that can be deadly poison. Phenylalanine decomposes into diketopiperazine (DKP), a known carcinogen. And even in cooler temperatures, methanol will produce a colorless toxin called formaldehyde. We all know formaldehyde as the stuff morticians use to preserve dead bodies. It also is used in the manufacture of glues, plastics, paints and wood products. Its gases are a deadly by-product of contemporary living that can kill. Among the worst products that contain aspartame is chewing gum. An article by Dr. James Bowen explains that aspartame in gum "is absorbed directly through the buccal mucsa of the tongue, mouth and gums, making it a far worse poisoning than even if it were given intravenously." He wrote that "the nerves serving this area and their vascular supply derive directly from the brain, so the Aspartame absorbed through them goes directly into the brain, by passing the spinal cord and blood brain barrier." Bowen said Aspartame is such a dangerous and mentally destructive substance that he suggests its massive dumping into the American food chain with FDA approval may have been done on purpose. "The devastation of the human brain is the primary reason why this brain washing agent, designed to keep us from questioning or objecting to what they (the elected leadership) are doing to our country and our world, is being slipped into us in spite of its horribly failing the toxicity studies." Bowen said Aspartame not only is found to be a strong carcinogen, but he called it "the number one brain carcinogen ever discovered by science!" He wrote that the brain cancer rate in the US jumped ten percent the first six months after Aspartame was added to diet soda. This writer’s late wife Doris was an ardent gum chewer all of her life. 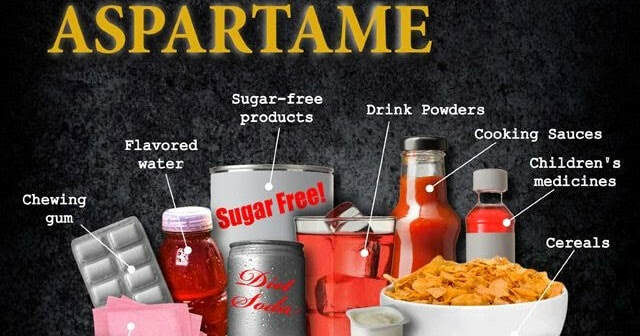 After learning about the dangers of Aspartame and discovering that most chewing gum on the market was laced with the poison, she began reading labels and shifted to certain brands of bubble gum, which were free of Aspartame. But wouldn't you know it, eventually even those brands "improved" their products by adding Aspartame. At last look, a few brands, usually found in wholesome food stores, were still free of the fake sweetener. Doris died of cancer in 2013. The sad part of this story is that the primary users of bubble gum are children. If Dr. Bowen’s conspiracy theory is correct, it seems that someone appears to have decided to destroy their little minds before they ever get a chance to grow up and made decisions for themselves. If Bowen is wrong, then perhaps the makers of bubble gum in America have consumed so much Aspartame over the years, they are not thinking clearly enough to realize what they have just done.